The Garrott Optim is the fruition of the “dynamic coil” principal pioneered by Garrott Brothers. 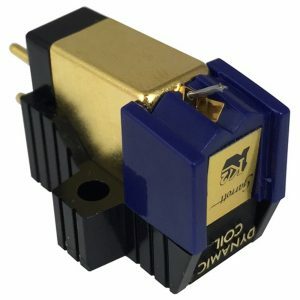 This design allows sonic agility, focus and trackability previously only found in the best moving coil designs. This new version of the cartridge is highly tuned and optimised for the amazing FGS diamond that is only otherwise found in the very best moving coils designs. 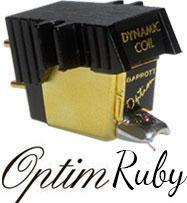 The Garrott Optim Ruby FGS is the latest and best illustration of the merits of the Garrott family of Dynamic Coil cartridges. A gemstone quality solid ruby cantilever combined with a Fritz Geiger Signature diamond stylus gives a refined yet incredibly detailed reproduction. 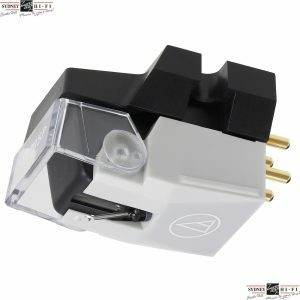 A true reference cartridge, this will surprise and delight even the most steadfast moving coil fanatics. In essence, many cartridges suffer the effects of excessive damping of the complex signals which they are expected to reproduce. This is purposely done in an attempt to control excessive high frequency brightness and distortion artifacts inherent in the mechanics of the stylus/record interface. Unfortunately, over-damping also results in quite serious loss of musical dynamics and leaves a legacy that result in dull and unconvincing reproduction. This is especially noticeable in the upper bass to lower midrange areas that contain the body and ‘feeling’ of the music. 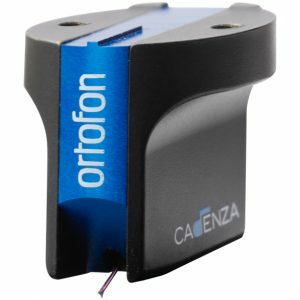 GARROTT Optim cartridges have been designed such that minimal damping of the mechanical interface is needed and can be applied in a graduated way such that musical content is retained unimpaired. The Optim ‘FGS’ modesl take this concept to the ultimate with the inclusion of a special stylus profile which together with careful balance of moving parts results in superior tracking of even significantly worn record grooves, providing to the listener full bodied and powerful yet highly detailed reproduction that has not previously been achieved with affordable cartridges. Indeed previous attempts at reaching this level of performance have usually done so at the expense of quite complex setup procedures and/or excessive tracking weights and consequent record wear. We are pleased to be able at last to offer lovers of quality analogue sound reproduction a range of inexpensive and easy to live with cartridges that will reveal hitherto unrealised performance from your carefully preserved record collection. 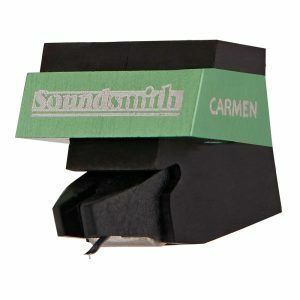 Previously this level of performance has only been approached by the most expensive moving coil cartridges. We are confident that you will be delighted with your purchase.